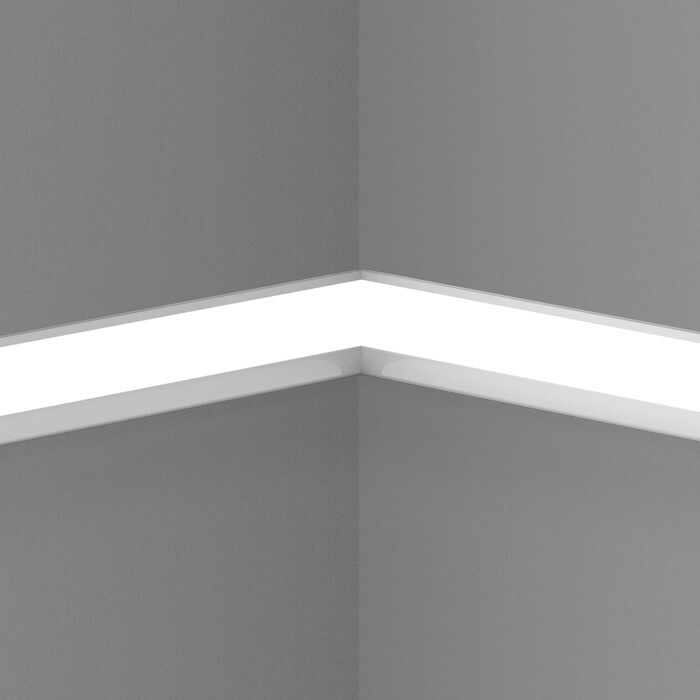 InWalo offers practical illumination from a linear in-wall luminaire. 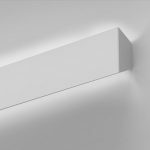 The InWalo housing requires just 5/8" of mounting depth - the thickness of common drywall - so the luminaire mounts on top of the wall studs. The driver compartment slides behind the luminaire for totally flexible installation between the wall studs. A removable LED and optical cartridge permits access to the driver without disturbing the drywall/housing connection. 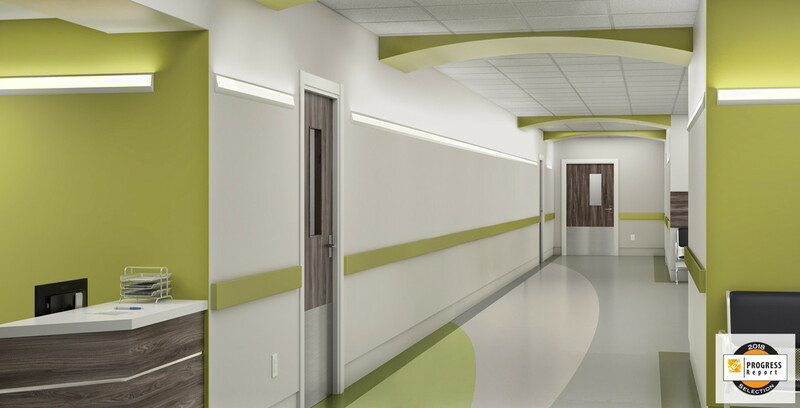 InWalo can be installed as a discrete or continuous linear luminaire and oriented for either uplight or downlight. SIZE: 3 5/8" x 1 1/4"
Asymmetric In-wall Optic (AIO) - The LumenWerx Asymmetric In-wall Optic (AIO) combines semi-specular reflectors and an elliptic refractive film to produce a comfortable beam with maximum intensity at 140º from horizontal. In-wall construction eliminates backlight. 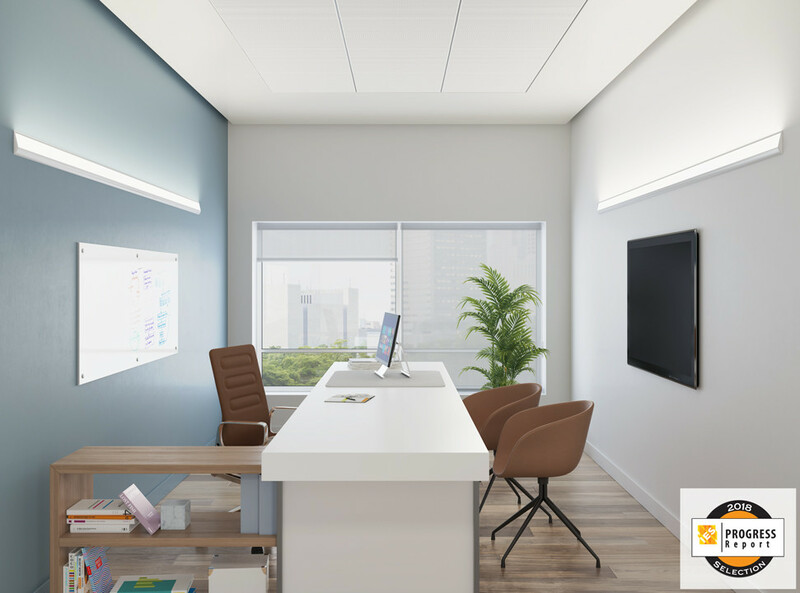 Only 5% of luminous flux occurs below (above) horizontal in the uplight (downlight) orientation. 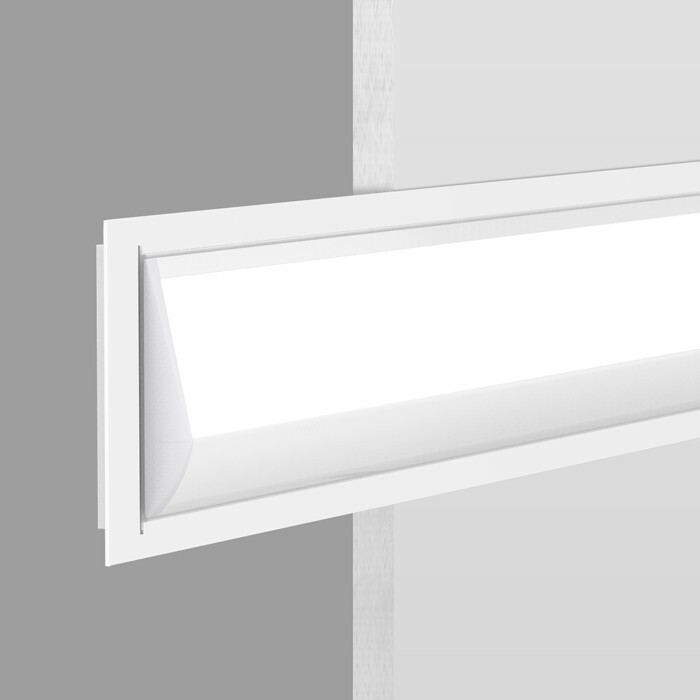 The integral optic and LED cartridge can be removed for access to both the LED array and driver without disturbing the wall trim. Fully lit 90 degrees inside corners are also available. To specify, download the InWalo Patterns specification sheet and enter the required information along with a simple drawing. 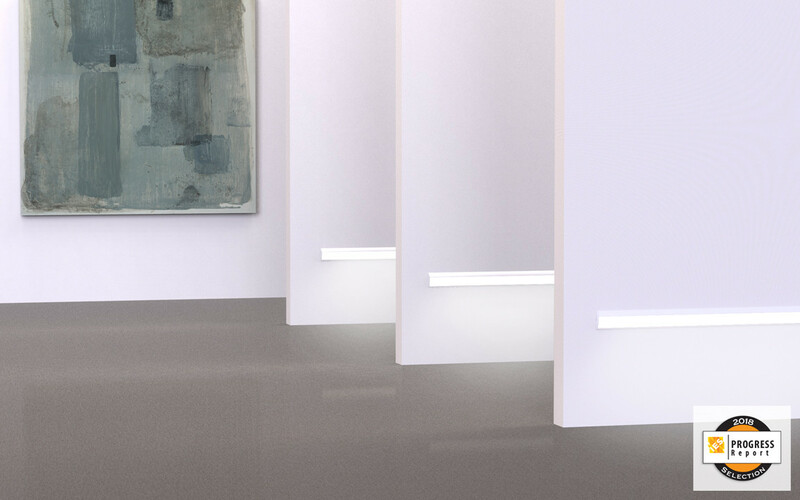 InWalo can turn inside corners and complete continuous patterns of light for rooms and corridors.